The time it took for the national tragedy to unfold at the Boston Marathon on Monday could be counted in mere seconds, and the time it took for the horrors of that day to start circulating on the Internet in shocking detail took only a handful of minutes after that. Joe Caruso, founder and CEO/CTO of Global Digital Forensics, talks about how investigators harness the power of digital evidence to get to the truth. The horrific events that transpired at the 2013 Boston Marathon will be seared into America’s consciousness for a very long time to come, thanks in large part to the monumental amount of digital evidence collected by spectators, media, security cameras and even participants on hand before, during and after the fatal ordeal. Within minutes, the graphic reality of this act of terror flowed uncensored directly into the nation’s bloodstream on social networking sites like Twitter and Facebook. “But that same torrent of available digital evidence could also hold the smoking gun, or guns, that will see justice ultimately served,” said Joe Caruso, founder and CEO/CTO of Global Digital Forensics (GDF), who has assisted clients in countless local, state and federal investigations involving digital evidence. Never underestimate the power of digital evidence, or the digital forensics professionals that know how to find it and wield it. *Global Digital Forensics is a recognized leader providing cutting edge solutions in the fields of computer forensics and eDiscovery. With offices in 16 US states and 30 offices around the world, GDF is positioned to react quickly and efficiently with a staff of highly qualified and experienced specialists. Many Fortune 500 companies have trusted GDF with their most sensitive situations. GDF has the technology, skill and experience to ensure any computer forensics tasks and/or eDiscovery needs are handled in a highly cost effective manner, while always ensuring exceptional, defensible results. 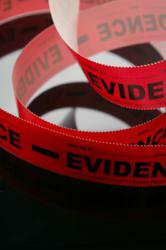 For a free initial consultation with a Global Digital Forensics digital evidence specialist, call 1-800-868-8189. Or, for more information visit http://www.evestigate.com.